With rumors that Uber and Amazon may be about to launch their own global freight brokerage businesses, traditional forwarders and brokers are understandably nervous. But the British International Freight Association (BIFA) reacts to current speculation by underlining "the vastly challenging and circuitous landscape" that forwarders and brokers operate in daily. 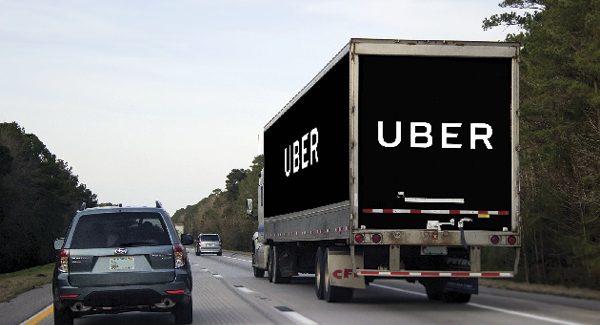 Uber has already soft-launched Uber Freight, notes the trade association for UK freight forwarders. And, the company has ambitions to cut out freight intermediaries by introducing load-matching apps that would provide real-time pricing, according to Business Insider UK. Smaller start-ups such as Cargomatic, Convoy, and CargoX share the same idea. Amazon recently unveiled plans to build a worldwide services hub in the U.S. Midwest, and has acquired thousands of its own trucks, which may hint at its plan to take on brokers and forwarders.